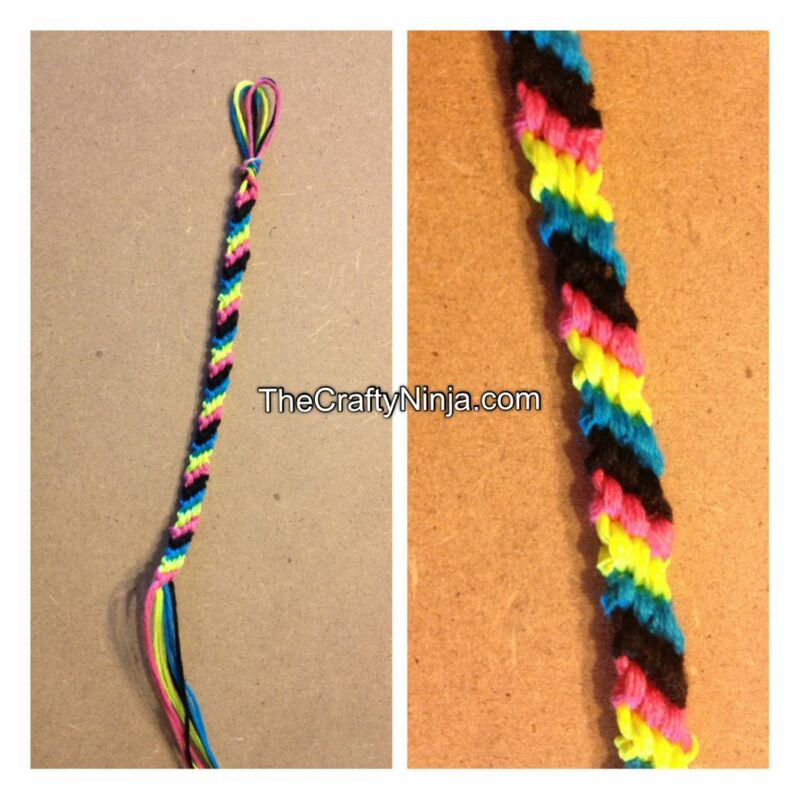 This Candy Strip Chevron Base bracelet is simple once you get the FOUR-ward knot down. Measure 50 inches of Cotton Embroidery Floss String, 4 strings of different colors. 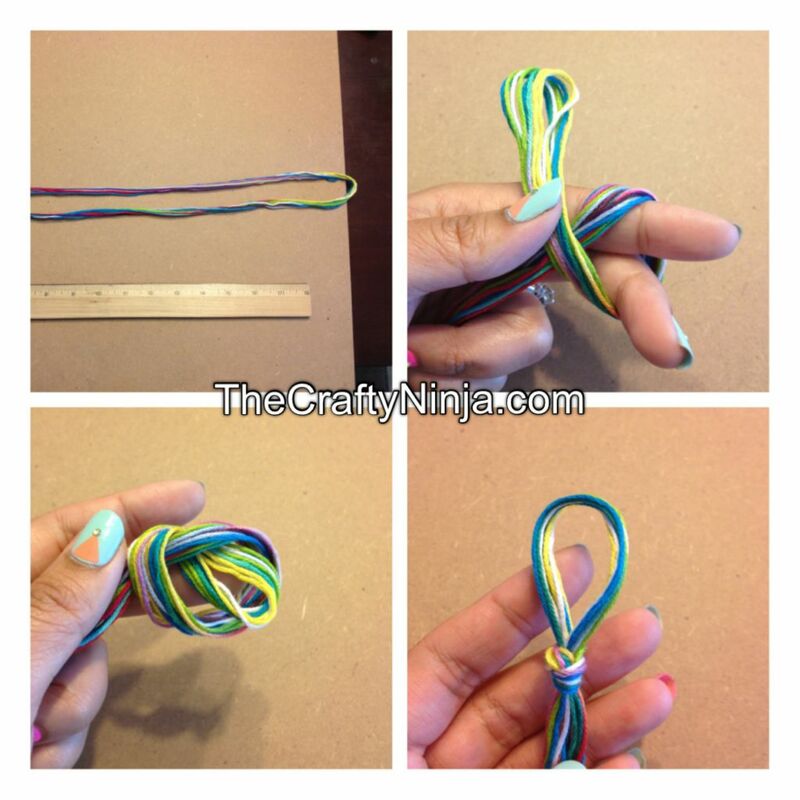 Fold the 50 inches of string in half, to make it 25 inches and tie a single knot to create a loop. I didn’t have a Clip Board so I used a Particle Board and Binder Clips. To start spread out the colors, two strings of the same color together. 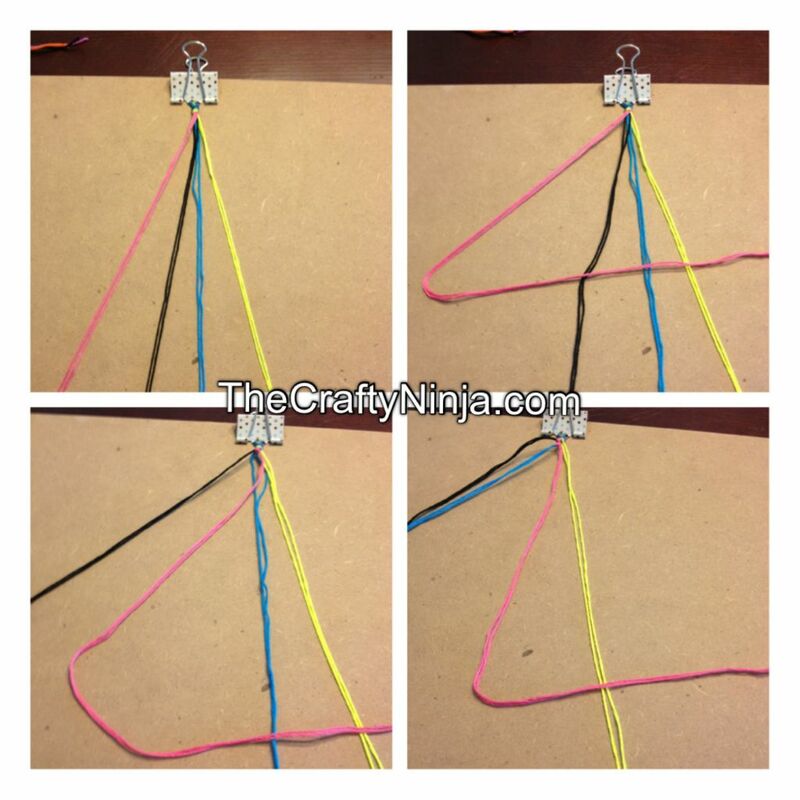 Next create a FOUR-way knot with two strings of the same color, do this two times around each color. With the Pink sting tie a FOUR-ward knot two times around the Black, and two times around the Neon Yellow. Think of it as FOUR-ward knot because you make a 4 with the two strings and loop it under then pull up tight. Now the Pink string should be last. The Black sting is first. Now with the Black string tie a FOUR-ward knot two times around each color: Blue, Neon Yellow, and Pink. Repeat this until each color is first, and until you are finished. 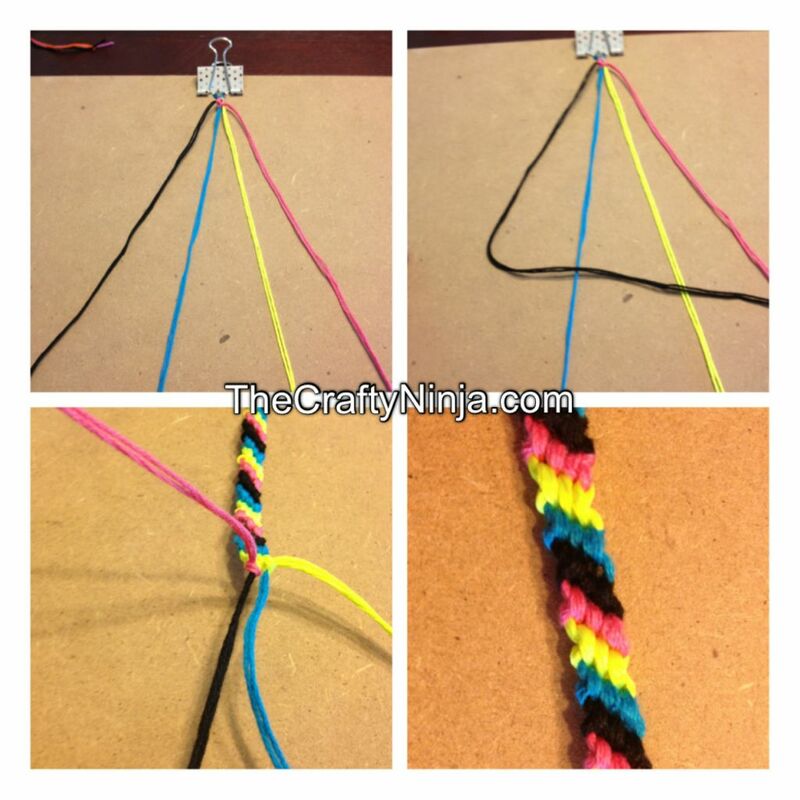 For a more detailed FOUR-ward knot and my other friendship bracelets tutorial check them out here.